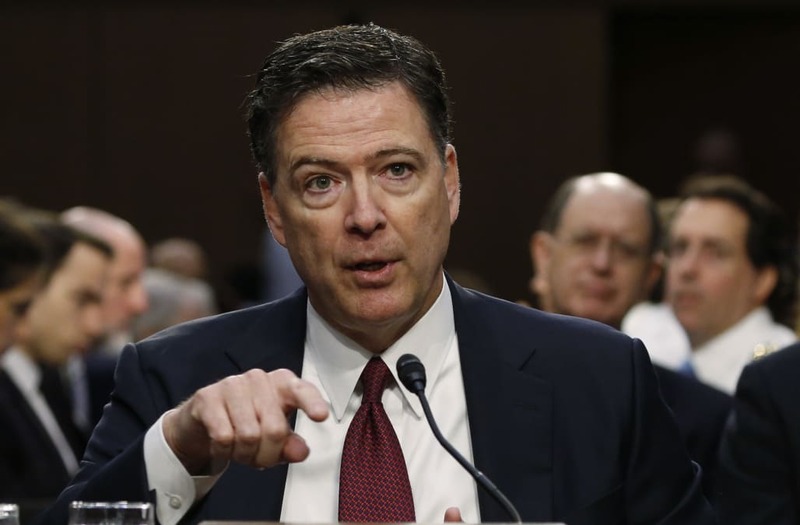 Former FBI Director James Comey has said once again, loudly, clearly, and unequivocally, that he will "never" run for president. Asked by Savannah Gutherie on Good Morning America if he'd ever consider running for office, Comey said "never." "That was a very direct answer, very un-Washington like" said Gutherie. "Yeah, never, I want to say it again so my wife heard it twice," said Comey. Comey is currently on a media tour for his new book "A Higher Loyalty: Truth, Lies, and Leadership," which details his time working under President Donald Trump. Comey discusses ethical leadership at length in the book and attacks Trump on a series of issues. Despite Comey's apparent total lack of interest in running for office, supporters online have scoured his writing for any clues that he may one day challenge Trump. In October 2017, Comey tweeted a picture of himself leaving Iowa, a state with early primaries frequented by presidential hopefuls. That and the fact that he was wearing running shoes in the picture led to some speculation that he may attempt to enter office at some point.